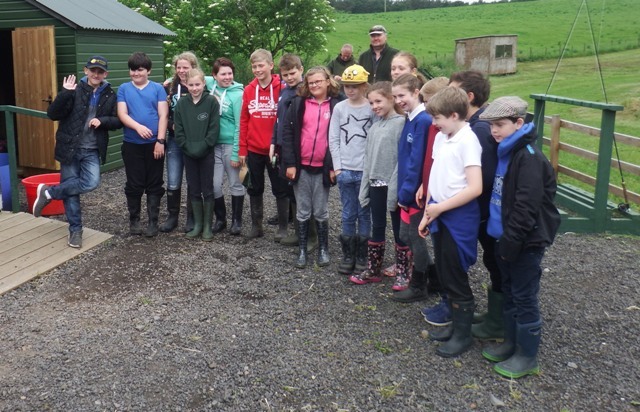 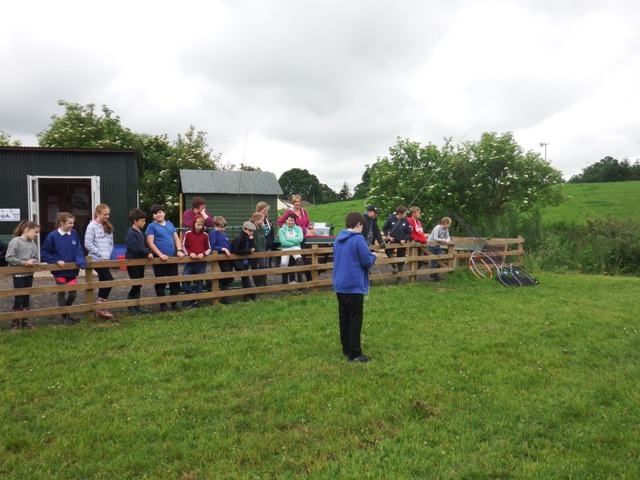 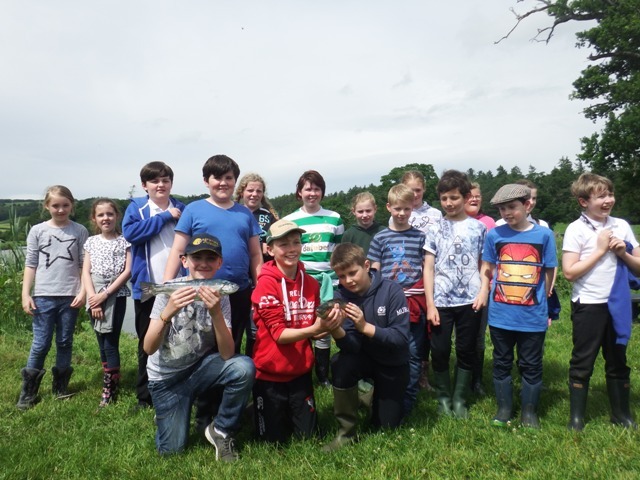 18 enthused pupils from Dunscore school came for a fly fishing day on Drum Loch today along with the Nith Trust and Borderlines. 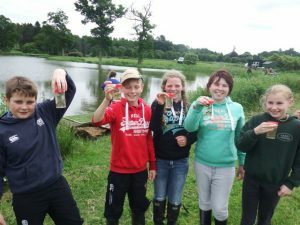 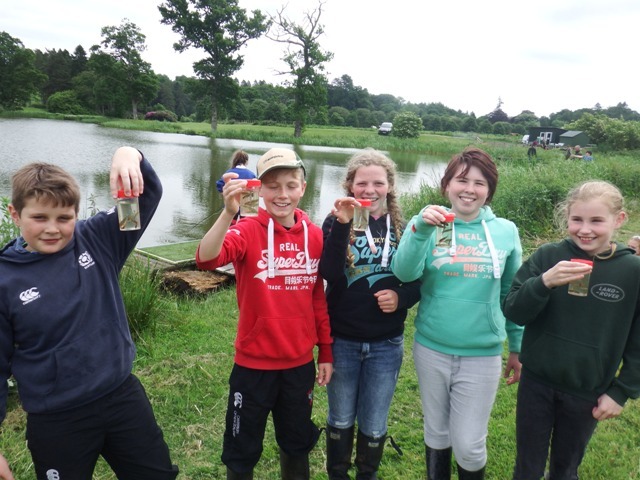 It would be a day of invertebrate sampling, Fly casting techniques, playing and landing fish, a competition and much more. All assembled and ready to make a start. 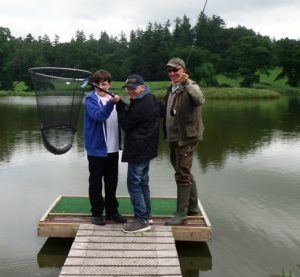 ..the nets man is ready! A lovely brown trout which was quickly returned! 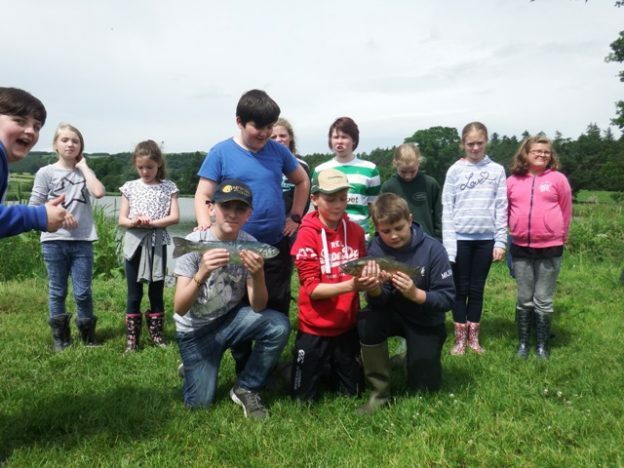 .. this time a blue trout. 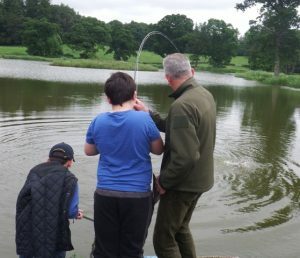 A good day on the loch was had by all and a few fish caught. 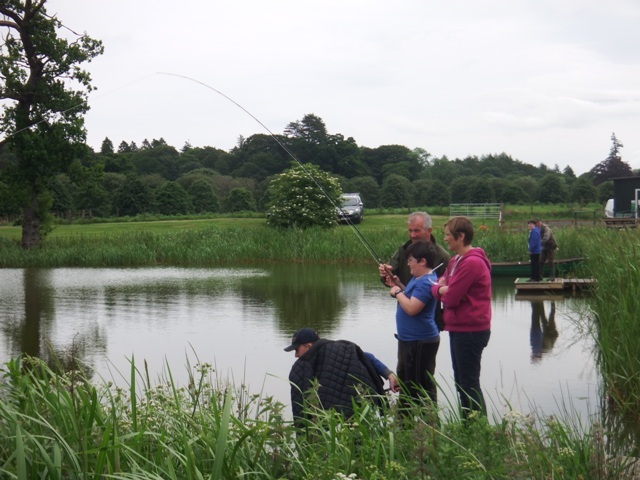 Many thanks to DGAA for the use of the very nice water and the Nith Trust for organising this day. 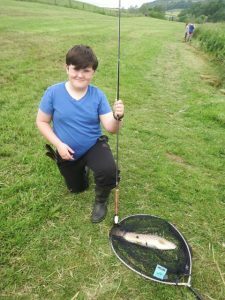 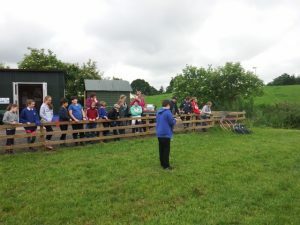 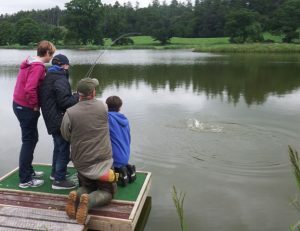 This entry was posted in Borderlines, education, environment, fishing, fly fishing, River Nith, Schools, Scotland, youth and tagged anglingforall, Borderlines, education, environment, Fly fishing, funding, outdoors, River Nith, schools, youth on 14th June 2017 by Glyn Freeman.